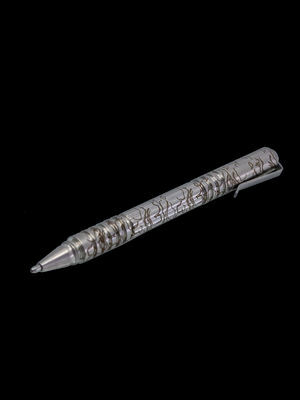 This edition debuts the spiral pattern body. 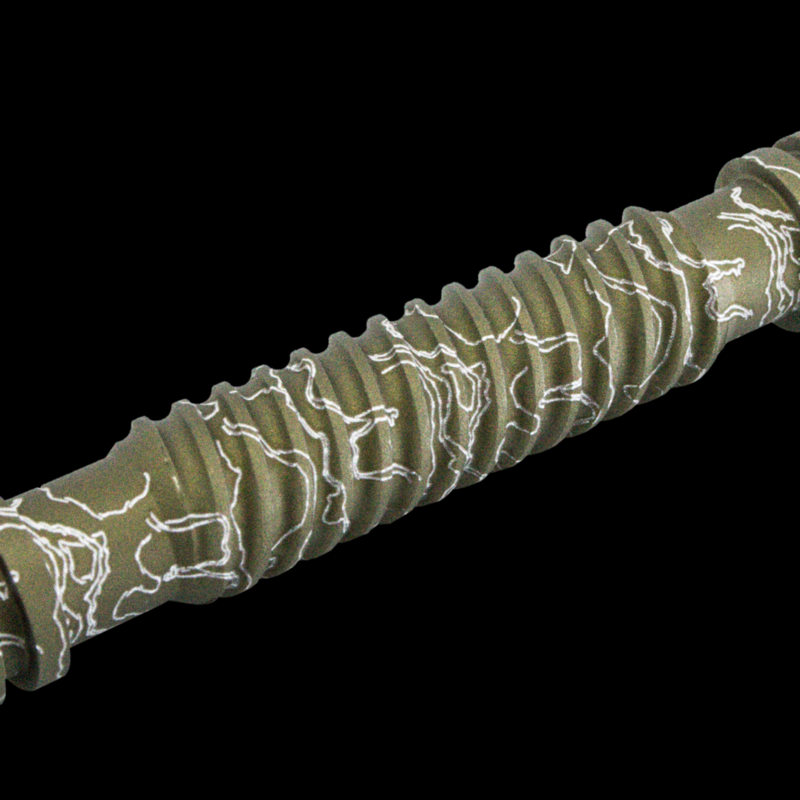 Deeply machined, it produces a robust gripping surface no matter what the use. 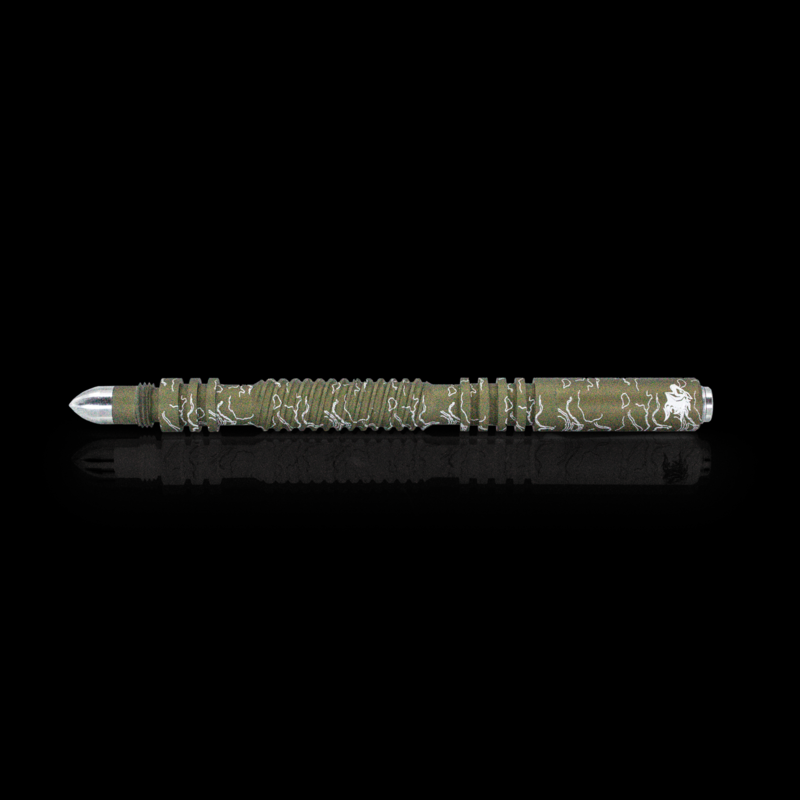 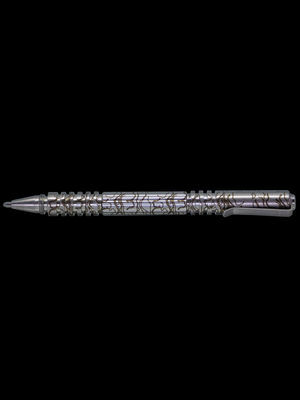 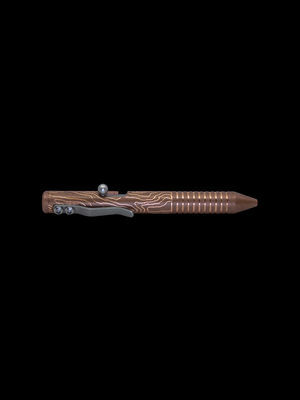 The Investigator Pen is Rick Hinderer’s compact follow-up to the wildly successful Extreme Duty Pen. 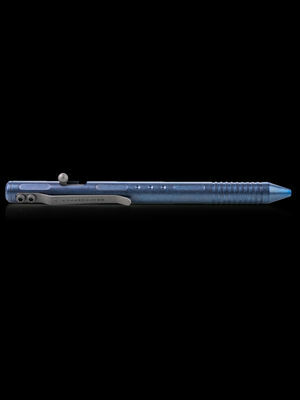 It is small enough to always have with you but overbuilt to work when you need it. 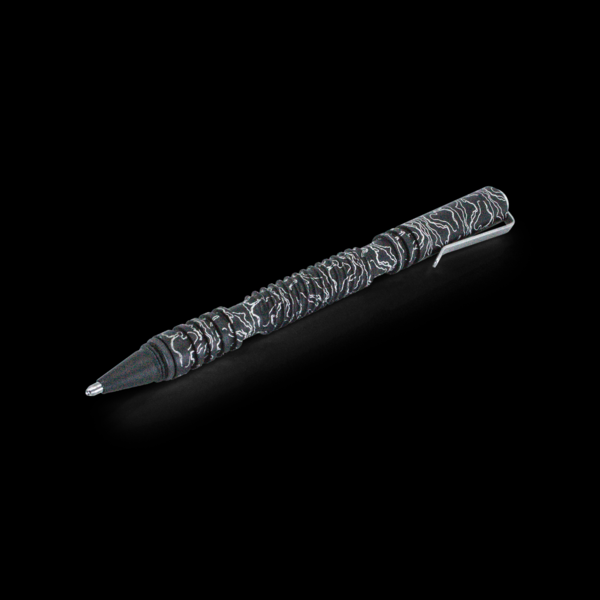 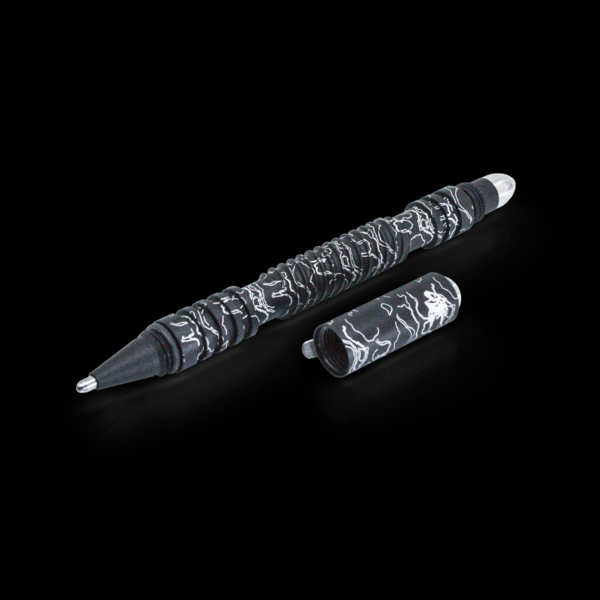 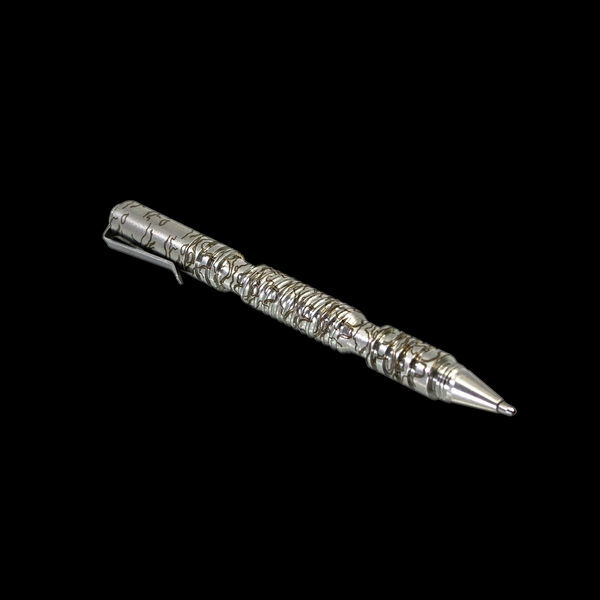 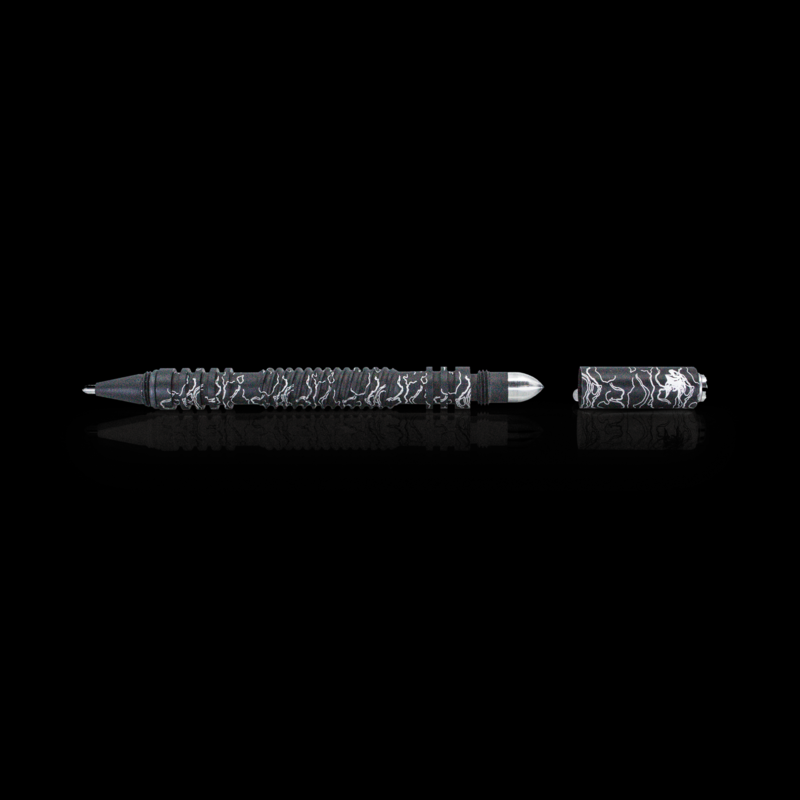 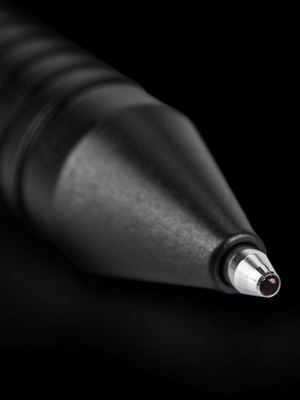 The pen has been designed to be comfortable for a wide variety of hand sizes even though it is not much bigger than the Fisher Space Pen refill contained within. 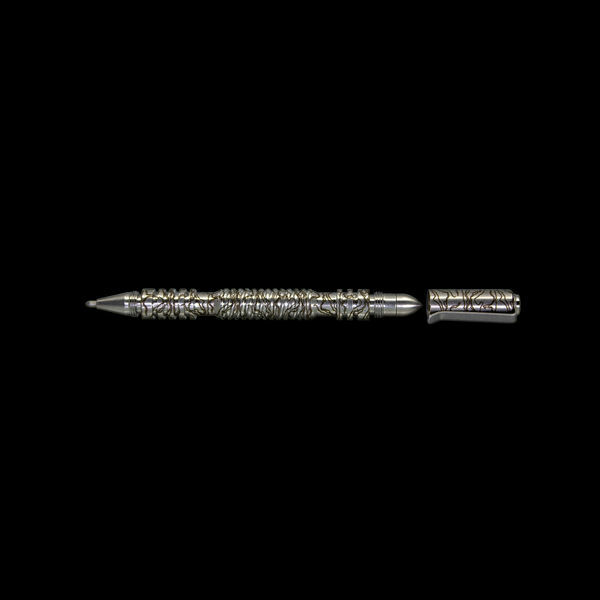 Following the DNA of the Extreme Duty Pen, the end is modular and the attached bullet tip can be switched out for other accessories available from Hinderer Knives. 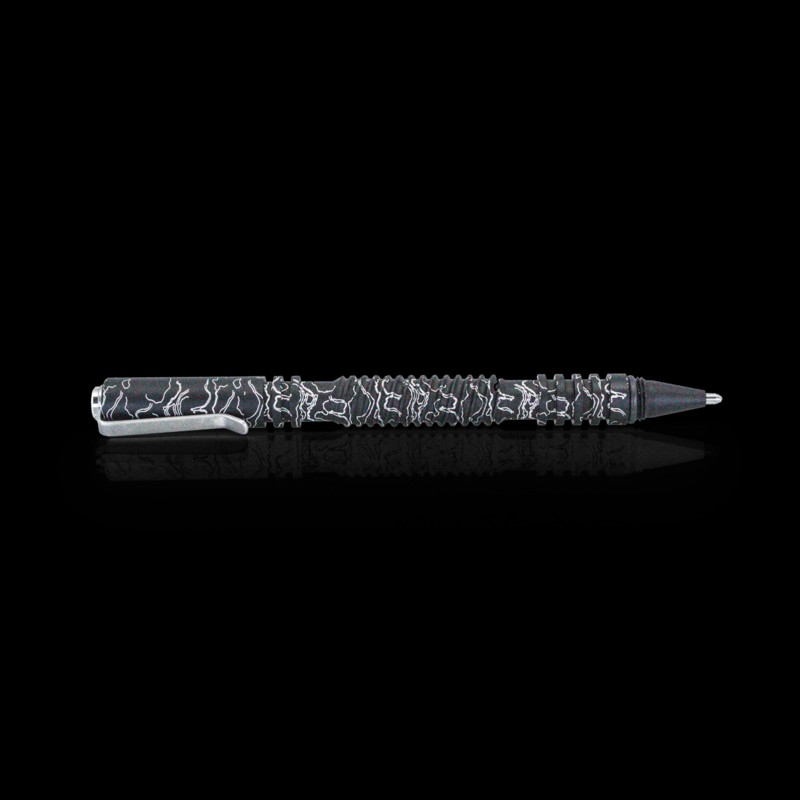 This edition features a lightweight aluminum build and black or OD anodized finish with the signature Triple Aught Design laser-etched topo pattern on the body.